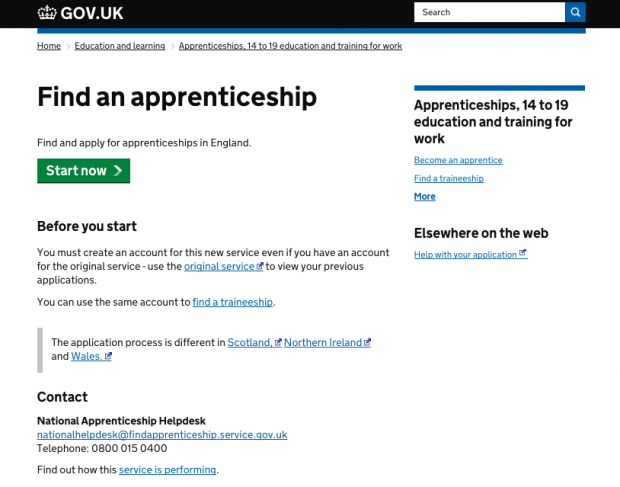 Our Find an apprenticeship service has been helping people search and apply for apprenticeships easily online since December 2014. I'm the Digitals Service Manager for Find an apprenticeship. As it's National Apprenticeship Week 2015, I've written a blog post for GDS looking at our team's achievements so far and some of the lessons learnt. Keep in touch. Follow us on Twitter, sign up to email updates or subscribe to the feed.